Be sure to customize your package with the Customize tab (below). *Would you like to add the OPTIONAL Hands-on History: World Cultures Kit? Young adventurers: Boldly explore the world! Visit ancient Egypt and travel through jungles, America, Imperial China ... and more! As you explore, find answers to questions like Why do people in the Amazon and Alaska like different kinds of homes? What did the inside of a medieval castle look like? What did ancient Egyptians eat? How did people travel in ancient China? What does a jungle look like? Discover what it was like to live in a castle. Marvel at what children used to wear for sleep and play. Take a spin in the first car, plane & rocket ship. Visit tall mountains and lush jungles. With your Instructor's Guide showing you what to do each day, two volumes serve as key books: The Usborne Children's Encyclopedia and Living Long Ago. They both feature simple text and scores of pictures that your children will love to look at. 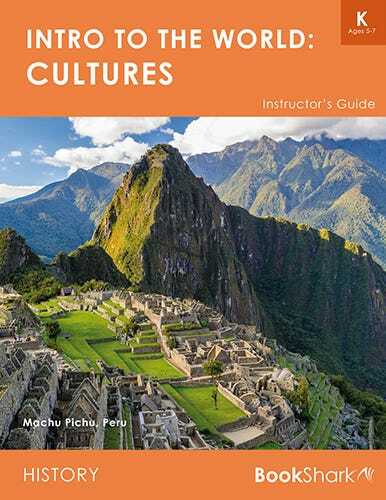 Get brief, picture-filled overviews of key civilizations of the world such as Ancient Egypt, the Roman Empire, the Vikings, Incans, the Ming Dynasty in China, Colonial America and Victorian England. Take extra time to look at music, art, homes, clothing and climate around the world. Your children will love to sit and pore over these books. Our Level K program helps develop key skills. From our developmentally-oriented hands-on activities, to the "Create-a-Calendar" that introduces the flow of weeks and months, you'll help make sure your kids are on track with what they need to know. Even the simple poetry helps train your children's ears to hear cadence, phonics and rhymes. Your children won't be little forever, so this program was created to help you enjoy this special time together. From hands-on activities to stories they'll remember their entire lives, get ready to connect with your child as they discover the world. Care for animals alongside a veterinarian who loves his job. Learn lifetime lessons with peasant Pong Lo as he wins a whole kingdom with a grain of rice! Be inspired toward wisdom and character through Grandma's tales of growing up in the pioneer days. Build your child's acadmic foundation by giving them fun, real books they can read successfully! 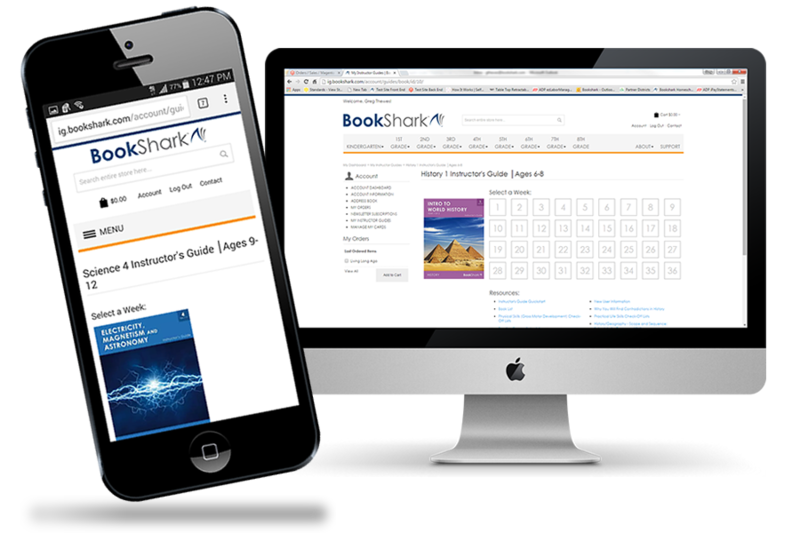 Combine with BookShark's Language Arts K program to add accessible writing assignments that coordinate with the Readers. If you are unsure which reading level is right for your child please check out our Quick Reading Assessment. My child already knows how to read, can I still use the Level K program? Yes, you can! If your child is reading comfortably at a 1st Grade (or higher) reading level, customize your Level K program with Level 1 Readers or Level 2 Readers. To change the Reader level in your package, select the correct level from the “Select a Reading Level” drop-down menu on the “Customize” tab.